World champion Mark Williams says he has been “getting away” without practising, and is just enjoying playing tournament snooker. 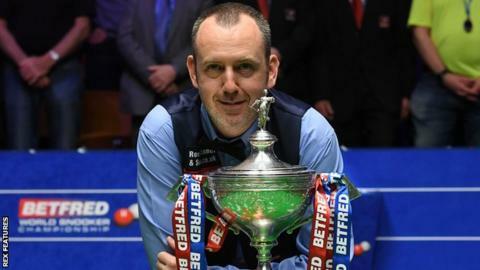 The 43-year-old Welshman is enjoying a remarkable renaissance, winning a third world title in May, 15 years after his previous Crucible success. Williams, ranked second in the world, will face Barry Hawkins in the Shanghai Open quarter-finals. “I’m enjoying it so much now, not even practising,” Williams said. “It’s great. I’m just playing golf every day, a couple of beers with my friends, and really enjoying it. “After this one [the Shanghai Open] when I go back home I will be back to the drawing board and practise hard. It will be back to normal. “You could say I’m just getting away with it a little bit I suppose, because my cue hasn’t been out of the case. “It’s come out over here probably a day before my match for half an hour here and there. Already the winner of the World Open in China last month, Williams plays Hawkins in the quarter-finals on Thursday. Fellow Welshman Ryan Day takes on 2015 winner Kyren Wilson, while defending champion Ronnie O’Sullivan faces Stuart Bingham and Mark Selby plays Ding Junhui.